I’ve talked about [Titanosaurs] before on this blog, but I’ll briefly describe Titanosaurs for those just tuning in. 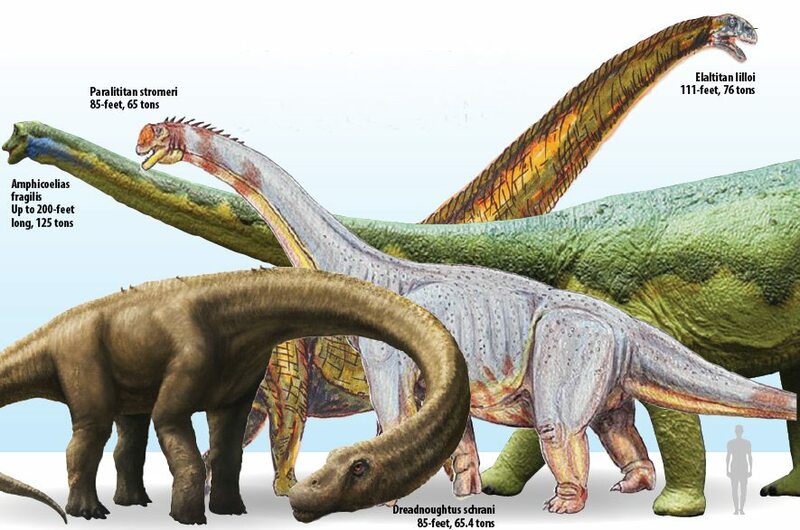 Titanosaurs are amazing because of their size. They are the largest animals that ever walked on Earth. Being that big requires a lot of physical changes in order to keep their bodies working. Their limbs were like giant columns to support their weight, they developed a one-way breathing system to not re-inhale the stale air in their long necks, and some of them even had armor! This week’s post comes from a report of the largest dinosaur footprint ever found. 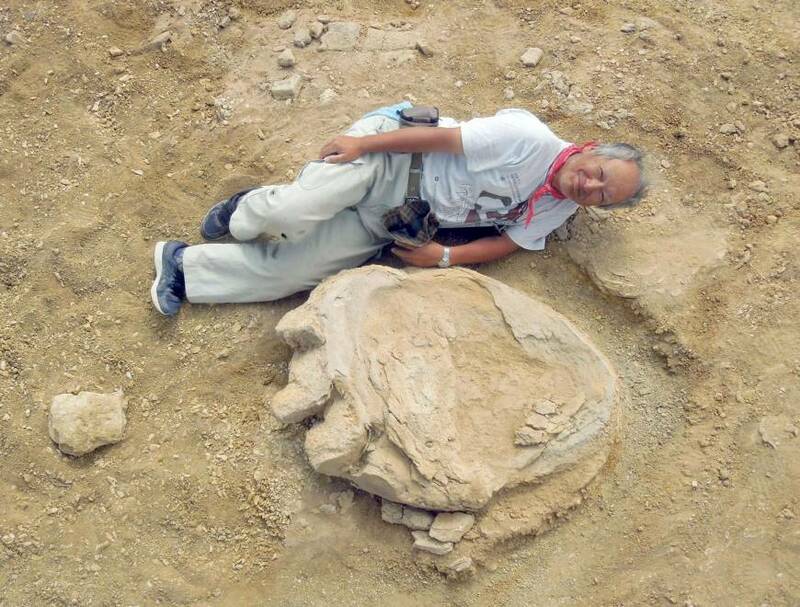 The print was found in the Gobi Desert of Mongolia (from the Cretaceous), on a joint expedition between the Okayama University in Japan and researchers from the Mongolian Academy of Sciences. The print is 1 meter long and 0.77 meters wide. The dinosaur footprint with discoverer for scale. Not only is this the largest footprint ever found, it also preserves nail prints, which are rarely fossilized! Because of this, we can understand a little more about titanosaur walking patterns. 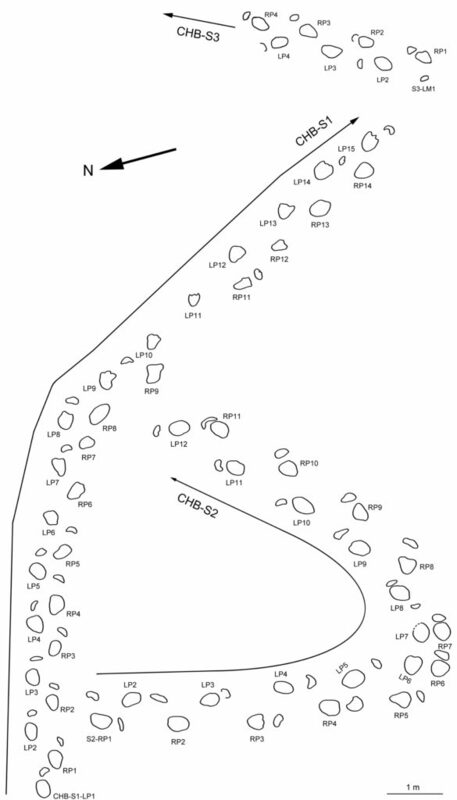 Continuing with sauropods this week, another [article] was published that re-examined a trackway site in Sichuan, China that’s Early Jurassic in age. Because of that, it’s the oldest trackway known for sauropods. It also preserves something interesting – the sauropod turned! Animals turn while they walk all the time, so this shouldn’t be surprising. The cool thing is, we have it preserved in the fossil record. And for an animal as big as a sauropod, the turn is actually quite sharp. 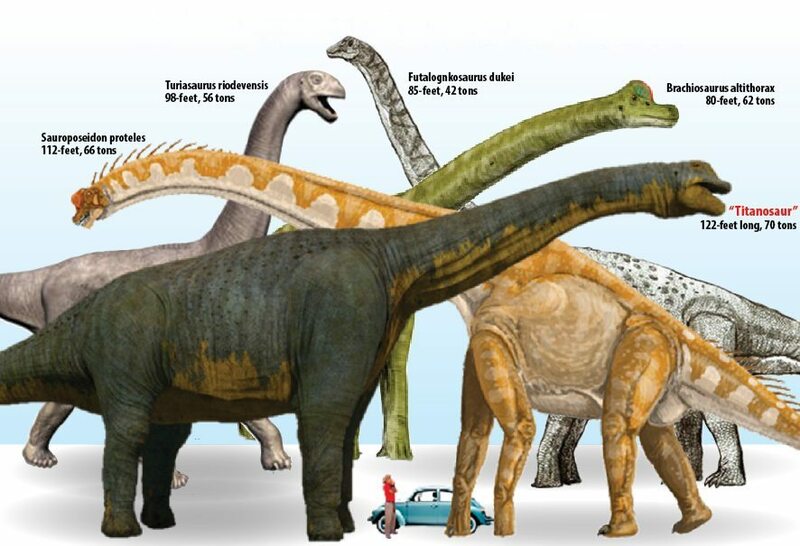 This means that despite their large size, sauropods were still pretty agile. The trackway showing a sharp turn. Supplementary figure from the article.